The private firm hoping to build a high-speed rail line between Dallas and Houston has been celebrating a summer of successes. But three years after Texas Central Partners first revealed its ambitious venture, challenges remain. Yet Tim Keith, who has served as Texas Central's CEO for just more than a month, said the project is moving forward as planned and is more or less on schedule. 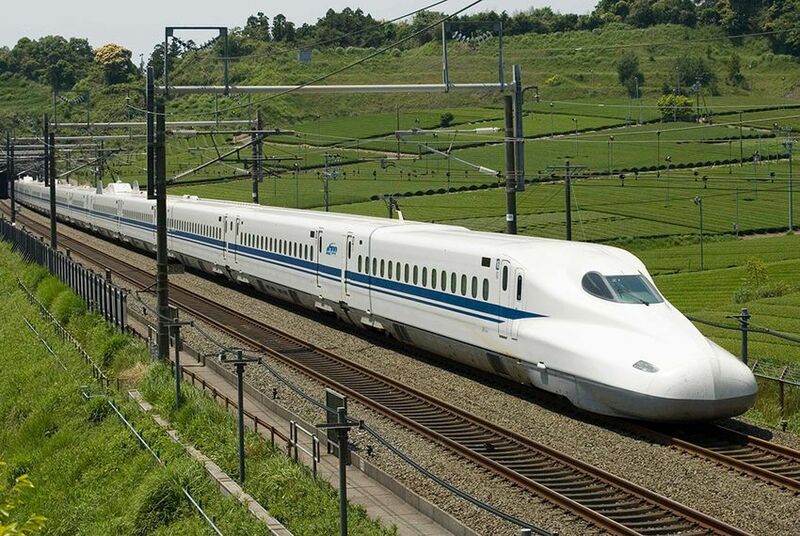 Texas Central announced in 2012 a partnership with Japanese train operator JR Central to debut that company's bullet train technology in Texas. Unlike most other train lines in the country, Texas Central predicts its train will operate at a profit and has pledged to not take public subsidies to cover operational costs. JR Central plans to sell its famed Shinkansen trains to Texas Central and play an advisory role on the system’s operations. Texas Central officials have described the 240-mile stretch between Dallas and Houston as the country’s most financially viable prospect for a profitable high-speed rail line, pointing to the large swaths of rural, flat land and the cities’ robust population growth projections as key selling points. The ambitious proposal immediately drew a healthy mix of excitement and skepticism, with some outright antagonism developing over the last year as rural communities near the train’s expected path learned more about it. Texas Central has said it plans to run 62 trips between Houston and Dallas daily. Yet most Texans in communities along the route won’t be able to ride them. Though the route remains a work in progress, the company has plans for only three stations, in Houston, Dallas and Grimes County near the Bryan/College Station area. Company officials have said they plan to employ eminent domain only as a last resort. Workman, who lives in Jewett, halfway between Dallas and Houston, said that will be the company’s only option in many cases. During this year’s legislative session, a handful of lawmakers attempted multiple times to hobble the project through, for example, a proposal to strip high-speed rail companies of their eminent domain authority. Critics of the rail project vowed to continue the fight into the next session in 2017. “This project is being sold to the people of Texas that it will never need state backing or subsidization or bailing out, and unfortunately, I think that’s a complete fallacy,” state Sen. Charles Schwertner, R-Georgetown, said in May. Whether Texas Central will be able to raise the $12 billion or more it needs for the project has been a constant source of skepticism among critics. In July, the company announced raising $75 million from investors including Fort Worth investor John Kleinheinz, Dallas developer Jack Matthews and former Houston Astros CEO Drayton McLane, Jr. of Temple. That all of the investors were from Texas was not an accident. While $75 million is a far cry from $12 billion, Texas Central officials believe it’s what they need at this point. The company expects to ultimately get about half of its funding via a loan from the Japanese Bank of International Cooperation, a state-owned entity in that country that, like the Export-Import Bank in the United States, helps provide financing for projects that encourage exports. Another significant source of funds may be a federal loan designed to provide low-interest financing for large infrastructure projects. While questions about the route and financing draw the most attention, the company is also preparing to tackle another tricky issue: federal safety regulations at odds with a Japanese-designed bullet train traveling 205 mph, faster than any other train in the country. Transportation advocates around the country are closely watching Texas Central to see if it can overcome challenges with financing, regulations and local opposition. "If those risks and rewards can be balanced out appropriately, there’s no reason Texas can’t see a successful project,” Puentes said. Disclosure: Texas Central Railway is a corporate sponsor of The Texas Tribune and John Kleinheinz is a major donor to the Tribune. A complete list of Tribune donors and sponsors can be viewed here.